Morwhenna. The Creative Adventurer: Who is the Creative Adventurer? Hello and a big warm welcome to you! 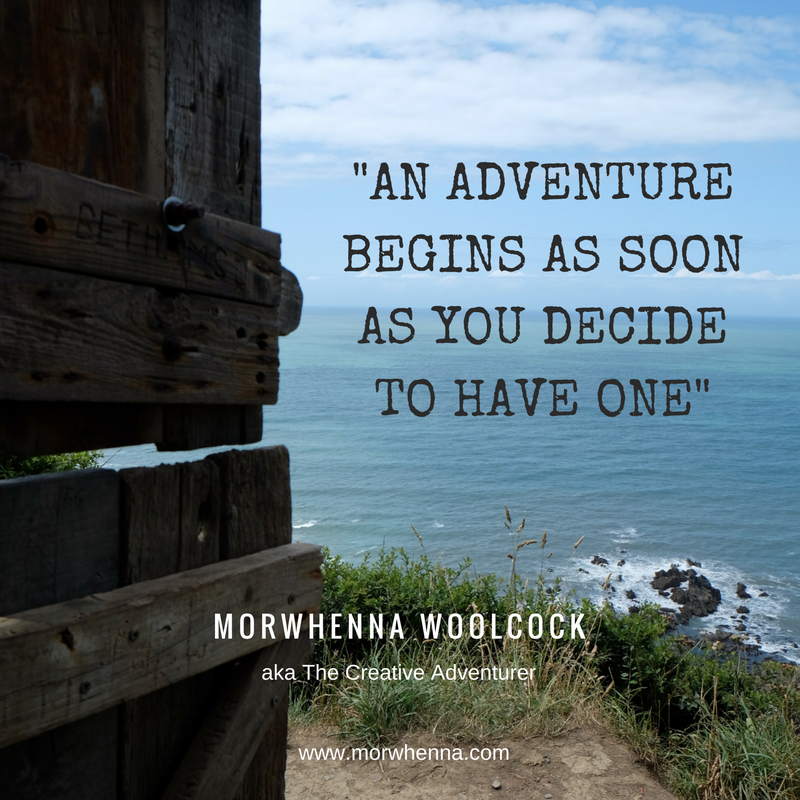 I'm Morwhenna aka The Creative Adventurer and welcome to my Imaginarium! 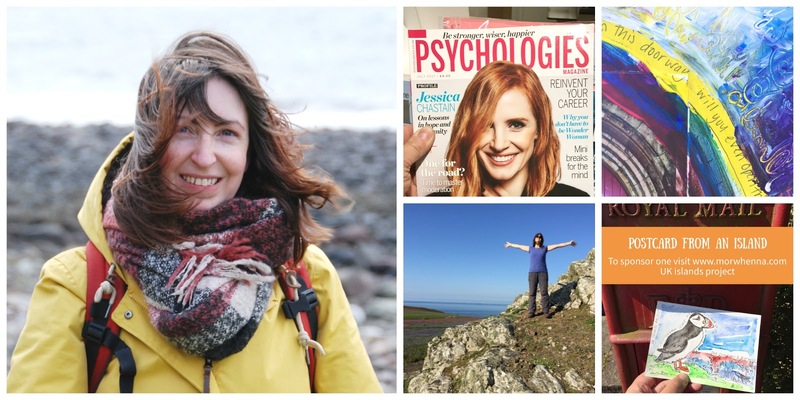 This is my portal for all things creative; from my creative adventures, the courses/explorations I run and everything else relating to encouraging you to make positive and lasting changes for a more playful, creative and fulfilling life. I believe that we don't need to travel far to experience something new and inspiring and that adventure is all around us, we just need to look at things from a different perspective to find it. I found that reconnecting with my creative and adventurous self was a huge part in my recovery from severe depression and that Creativity, Adventure & Nature are instrumental to my wellbeing. This philosophy now forms the basis of everything I do and If I can do it - you can do it. 10 random things about me..
My all-time favourite film is Singing in the Rain. I've seen the stage musical twice. I've appeared in the TV show Casualty as an extra...still trying to get onto Dr.Who! I had a Brain Hemorrhage in 1987 (form of stroke) when I was 12. I was completely paralyzed down my left side and had to learn to walk again. I know, right!! 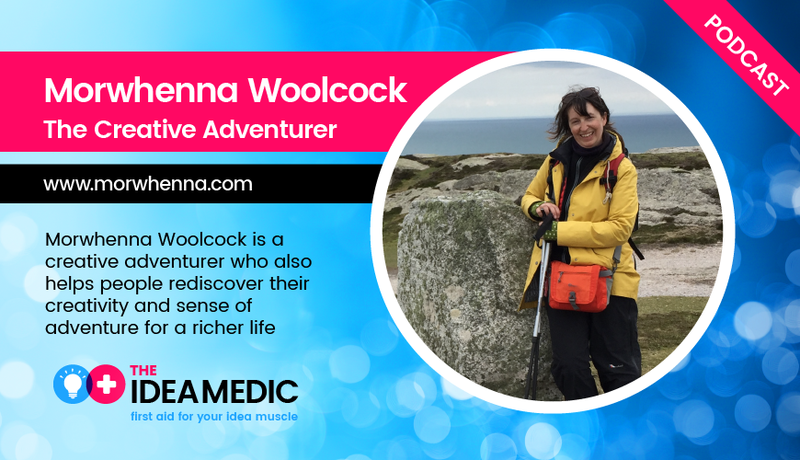 I'm the first person to walk over 100 miles and to climb Snowdon (the highest Mountain in Wales) not during the same trip, whilst using my walking implant! I've spent 6 weeks on a solo trip volunteering with Art Relief International in Chiang Mai, Thailand. I love hearing from like minded people - so come and say Hi! I hang out on Twitter @morwhenna Facebook, Pinterest & Instagram - @morwhennawoolcock where I post images, currently lot of pictures from all the islands that I'm exploring this year as part of my UK Islands Project! HI! Please contact me, I would love to feature you in Lean Toward Happy Magazine. I couldn't find contact info on the site. Sorry if I overlooked it. Hey Morwhenna - I didn't realize you're a Brit! I took it for granted that you'd be American. And you live in my part of the world! I'm in Alton, Hampshire, just up the road from you. You're a creative adventurer, and I aspire to be one. I'm 62 and I'm an artist, writer, wild westerner(www.kitty-le-roy.co.UK) and traveller.I was v surprised to read about your health problems. I've only recently recovered from 30 years of depression, so am now making up for lost time. One of my aspirations - apart from visiting my 20th country and finish the novel I've been writing forever- was to be a film/TV extra, but I'm certain I'd never make the early morning starts! Anyway, excellent to find out you're in my neck of the woods. I'm currently UNsubscribing from a zillion newsletters, but yours is a keeper!